Challenge from Alex: The curtains are about to open on the movie about your life. Write the first scene. This entry was posted in Writing Events, Writing Prompts and tagged challenge, Creative, novel, prompt, writing on December 13, 2017 by Editor. A ‘noir’ photo prompt from Alex to get you writing. 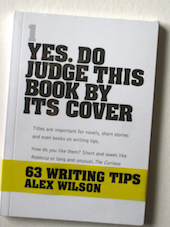 Do five minutes ‘free’ writing, (no stopping to think, no attention to grammar or handwriting). Give it a title. New event open for booking. Two workshops on Writing a Memoir or using your life stories for fiction with Alex, in February at Hall and Woodhouse, Bath. This entry was posted in Uncategorized and tagged creative writing, exercise, memoir, photo, prompt, workshops on October 30, 2017 by Editor. Write a short sto ry about going home. Several places on Building your Writing CV. More info and booking on our website. This entry was posted in Writing Prompts and tagged Creative, prompt, workshops on September 18, 2017 by Editor. Write a story about staying in a hotel. Use a short time span and include dialogue. Update on workshop places: One place left on Auturmn Creative Writing Sessions beginning September 21st. 5 places left on Art as Inspiration workshop in October and still places for Building Your Writing CV in November. Click on the links for more details and to book via paypal or any card. This entry was posted in Writing Prompts and tagged Creative, prompt, story, workshop on August 29, 2017 by Editor.